Q. I am trying to understand the Temple revealed to John in the 11th chapter of the Book of Revelation (Rev. 11:1-2). Why is God's favor or protection on the tribulation Temple in chapter 11? Could the Temple be measured for judgment? Unless the interlude is retrospective in relation to the chronology of the trumpets, isn't this Temple already desecrated by the beast? And if so, then could the worshipers, who are also measured, be worshipers of the beast? The contrast with the rejection of the outer court seems to clarify that the Temple is favored rather then judged. 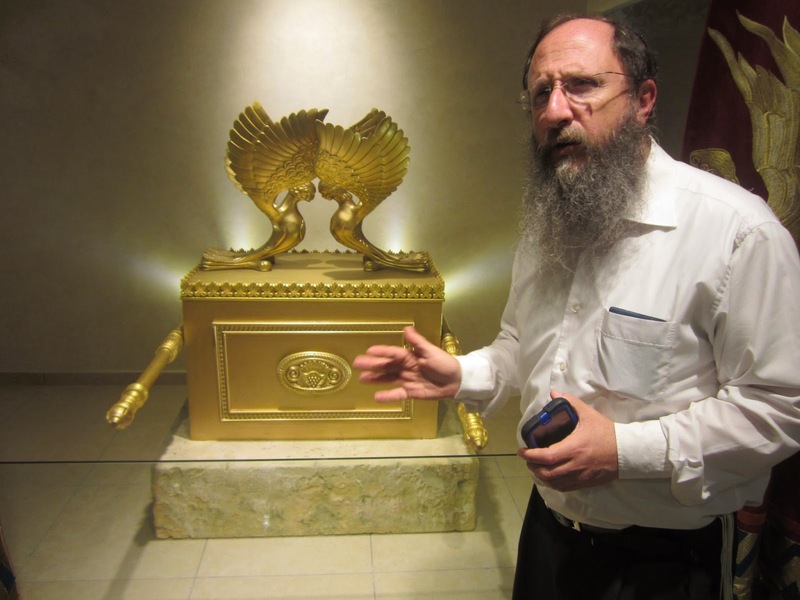 But why would this Temple be favored or protected by God, and Herod's Temple was not? Was Herod's Temple destroyed primarily because of its association with the generation that rejected the Messiah? Or was its' judgment also due to it's obsolescence because of the establishment of the New Covenant dispensation of grace? If so then why would the tribulation Temple be any different from the one in which the NT book of Hebrews gives such stern warnings against associating with? Would the rebuilt tribulation Temple be an act of unbelief in the Messiah and a regression to the Old Mosaic Covenant? A. You've raised many good questions concerning the so-called "Tribulation Temple" mentioned in Revelation 11. Since this is a topic which can't really be addressed without lengthy treatment of many related issues, I've attempted to respond to three central ideas represented by your questions. Is the Temple measured as a sign of favor or as a sign of its impending judgment (questions 1-4)? Why was Herod's Temple judged and why would God's treatment of the tribulation Temple differ (questions 5-7)? Wouldn't rebuilding the tribulation Temple represent a regression to the Old Mosaic Covenant (against the teaching of the Book of Hebrews) and represent an act of unbelief (8-9)? Is the Temple measured as a sign of favor or as a sign of its impending judgment? Other occasions in Scripture where similar measurement takes place include, the millennial Temple (Eze. 40:2ff), earthly Jerusalem during the millennium (Zec. 2:1-2); and the heavenly Jerusalem (Rev. 21:15). (A similar idea is seen concerning a surveyor's line, as mentioned in Jeremiah 31:38-40 and Zechariah 1:16.) In each of these passages, it appears that God uses measurement to highlight or draw attention to something which is not a present reality at the time the revelation is being given, but which God intends to bring about in the future. None of these instances involves judgment. On the contrary, they concern restoration and expansion. Thus, similarity to other passages argues for understanding this passage as concerning a future development in the plan of God which He is calling our attention to. Another reason that the Temple in Revelation 11 is probably not being measured for judgment is the apparent correlation between the period of forty-two months mentioned in association with the Temple (Rev. 11:2-3) and period of 1260 days during which God's two witnesses hold sway over Jerusalem (Rev. 11:2-3). (See my Revelation Commentary for a discussion of the relative timing of the Temple and the ministry of the two witnesses which I believe both occur within the first half of the Tribulation.) It is my view that the beast does not hold sway over the Temple until the middle of the week, after dispatching the two witnesses (Daniel 9:27; Rev. 11:3,7; Rev. 13:5). It would appear that the measurement has in view a time when the Temple is not yet controlled by the beast or his worshipers. As you mentioned, this is also reflected by the contrast made with the outer court which is said to be given over to the Gentiles (or nations). Why was Herod's Temple judged and why would God's treatment of the tribulation Temple differ? Yet it is also true that it was God's intention at the rejection of Jesus to establish a new living Temple: the Temple of the believer, collectively known as the body of Christ, made up of individuals indwelt by the Holy Spirit in this age (1 Cor. 3:16-17; 1 Cor. 6:15-19; 2 Cor. 6:14-16; Eph. 2:19-22). In the rejection of Jesus and subsequent departure of His literal body (Acts 1:9), God established the Church: the body of Christ in His absence. Thus, we live in a period of time where worship is not offered from a Temple in Jerusalem (or any other specific physical location, John 4:19-21). This was all according to God's plan for this age. Wouldn't rebuilding the tribulation Temple represent a regression to the Old Mosaic Covenant (against the teaching of the Book of Hebrews) and represent an act of unbelief? Yes it would. But I don't believe this Temple will be built by Christian believers. I believe it will be built by orthodox Jews who do not accept Messiah Jesus. Yet, even though this Temple is built by unbelievers, it is of great interest to God for several reasons: (1) the purpose the Temple serves in the Tribulation in relation to the conversion of Israel; (2) the position the Temple occupies between the Church age (with its Temple of the believer) and the millennial age (with a physical Temple once again in Jerusalem as described by Ezekiel). Let's take the second aspect first. The subject of Ezekiel's Temple (Eze. 40 ff) is in itself a large topic. To understand what is involved, it is critical that we recognize that both Ezekiel and Hebrews are the inspired Word of God. We must not pit the two against one another as if the author of Hebrews "overthrows" what Ezekiel says (typically accomplished by means of a pious spiritualizing of Ezekiel's passage). There are two aspects concerning the Temple to bear in mind when comparing Ezekiel and Hebrews. Hebrews focuses on the relationship between animal sacrifice and Jesus' work on the cross—which operate in different spheres and accomplish different purposes—and the relationship between believers, especially Jewish believers, and the Temple after the cross, during the age of the church. Ezekiel, on the other hand, is concerned with the purpose of the Temple during the millennial age to come, with Jesus reigning physically from Jerusalem. The time of the tribulation Temple in Revelation 11 falls between these two. This oft-quoted verse concerning the Davidic covenant contains some surprises when we examine the details. ☺ We are happy (and correct) to find in Jesus the fulfillment of the promises concerning David. But how many of us take the promises concerning the Levitical priesthood with equal seriousness—especially when we recognize that Jesus cannot fulfill those promises, being born in the line of Judah and not Levi (Heb. 7:13-14)? This passage pertains to the priestly covenant highlighted in numerous places in the OT culminating in the priests in the line of Zadok  mentioned by Ezekiel as serving in the millennial Temple (Num. 25:11-12; Ps. 106:30-31; Jer. 35:18-19; Eze. 37:26-28; Eze. 40:46; Mal. 2:4-8; 3:3-4). My main point in this digression concerning the millennial Temple is to underscore that God's plan through history involves different Temples and different purposes. The Word of God reveals that in this age worshipers will not come to a specific location (John 4:19-21). But that same Word also indicates the future holds something quite different (e.g., Zec. 14:16-17). The Tribulation Temple, erected in disobedience to God and "hijacked" by the Antichrist, eventually leads to a millennial situation wherein a Temple once again is part of God's plan. Now, if we consider that one of the purposes of the Tribulation is to turn ungodly Jacob back to God (specifically: to acknowledge Jesus as Messiah according to Matthew 23:39 and Romans 11:26), then we can expect that unbelieving Jews may be allowed to rebuild a Temple and to offer sacrifices there for a time (Daniel 9:27). Although they will not be worshiping God according to New Testament truth, this development signals the initial stage for God's redemptive work with Israel during the time of Jacob's trouble leading to their eventual conversion. The subsequent interruption of the orthodox Jewish sacrifices in the Temple (Dan. 9:27) followed by the blasphemous acts of the Antichrist in the Temple (2 Th. 2:4; Mat. 24:15; Rev. 13:14-15) appear designed to get the attention of the elect Jews who will come to faith during the time period introduced by the events in the last half of the seventieth week. 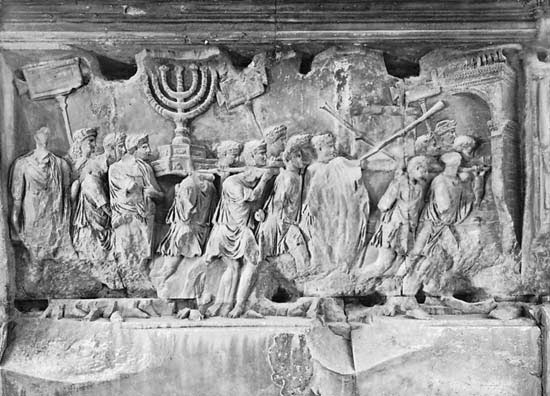 Thus, the Temple erected in ignorance of New Testament truth, is of great interest to God as it serves as a focal point of particular interest to Israel wherein the manifestation of the leader of the final rebellious Gentile government will take place in a way guaranteed to catch the attention of the Jews living at that time. The Zadokian priesthood is a subset of the Levitical priesthood: Levi ➙ Kohath ➙ Amram ➙ Aaron ➙ Eleazar ➙ Phinehas ➙ Abishua ➙ Bukki ➙ Uzzi ➙ Zerahiah ➙ Meraioth ➙ Amariah ➙ Ahitub ➙ Zadok (1 Chr. 6:1-8).